Coding is an extremely useful skill, but it takes a lot of time and practice to master. Luckily, Google launched a free tool called Google Web Designer for the visually inclined, nontechnical set that performs all of the HTML heavy lifting. 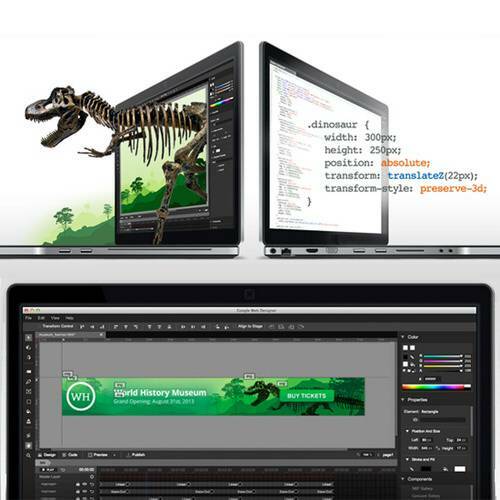 Google Web Designer works a lot like Adobe Dreamweaver. It’s called a WYSIWYG (“What You See Is What You Get”) editor, which means that designers can create, then drag and drop visuals onto a blank page, and the software will automatically generate HTML and CSS code. The program is designed specifically for HTML5 pages and animations. There are a lot of tools to create and manipulate 3D content for the web as well, and it’s very easy to pick up and learn. For those who know their way around HTML and CSS, Google Web Designer can quickly switch between a design view and a code view. All of the code is editable and updates as soon as changes are made in Design View. The software is now available in beta and, for now, free to download. Try your hand at making your own website with Google’s new tool — it took Twitter user @dancow only ten minutes to create his!